The Golden Age of railroading is back with Sid Meier's Railroads! 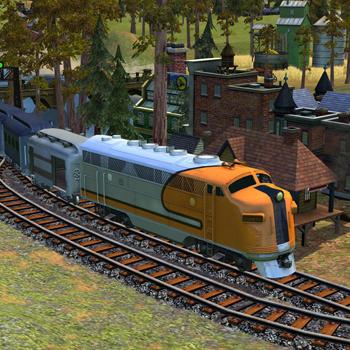 Combining the best of real-world and model railroads, Sid Meier's Railroads! puts you in charge of building your own railroad empire, running everything from steam-powered locomotives to more modern diesel and electric trains, managing cargo and your bottom line, all while engaging in corporate warfare against rival tycoons, slick entrepreneurs and robber barons.